Smartphones and their everyday use became inevitably in recent times. So it is when it comes to navigation. Global Positioning System (GPS) has been present in both sea and air navigation and is not news any more. GPS combined with a smartphone could help you a lot during your sailing trip, in terms of route planning, orientation, maritime information etc. Among many smartphone applications for sailing navigation I would extract “Navionics” as a very useful, informative, reliable and user-friendly. But, first I have to emphasize very clearly that no electronic device cannot replace traditional navigation with charts, compass and navigation pilots. Navigation charts and pilots used in navigation should be approved by official entity for maritime affairs of every country you may sail. Therefore, electronic devices and smartphone applications could only accompany your traditional navigation procedures. However, “Navionics”‘s application for smartphones, tablets and PC is an exceptionally helpful device equipped with very detailed nautical electronic charts, containing loads of information you may need during your sailing trip. When browsing the chart for your sailing route, swim-break or an anchorage, there is lots of information marked with simple symbols, while you may also put your own remarks on the spots you have visited. Information on many places is also marked with photos of those places, taken from the sea. “Navionics” application is available at all major app stores on the internet, divided on the areas of navigation and ready to use on several languages. 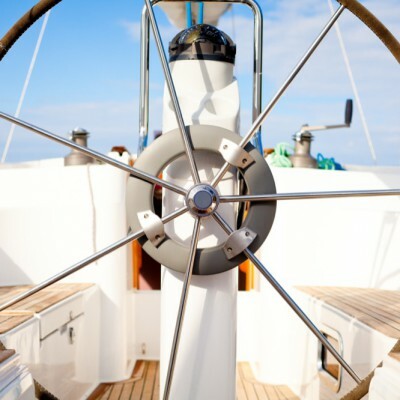 Still, even though every yacht available at all charter agencies is equipped at least with a GPS plotter, don’t forget that electronic devices are there just to support you in your “traditional” navigation with a chart and a compass.